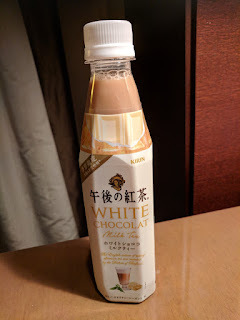 Kirin White Chocolate Milk Tea is my latest discovery in Tokyo. I always make it a point to visit a supermarket/grocery/convenience store whenever I travel. This is where I usually find interesting milk tea. It's usually a hit or miss, but I always remember the better ones and come back to it when I get to visit the country again. So far Kirin's selection of milk tea beverages have been a hit with me. I like the Premium Milk Tea the best and oftentimes have some stock in my fridge. We have the Royal Milk Tea available in the office so that's my staple milk tea drink whenever I'm at work. Yesterday I went to the supermarket near my hotel to check out if there was anything new and found the Kirin White Chocolate Milk Tea. I've been hesitant in trying flavored milk tea because oftentimes they don't blend very well (check out the post before this). After my first sip I knew that this variety would be good. The white chocolate and milk tea blended perfectly. It wasn't distinctly chocolate nor milk tea. It was a well-balanced blend of white chocolate, milk and tea. In pasta terms it would be described as al dente. 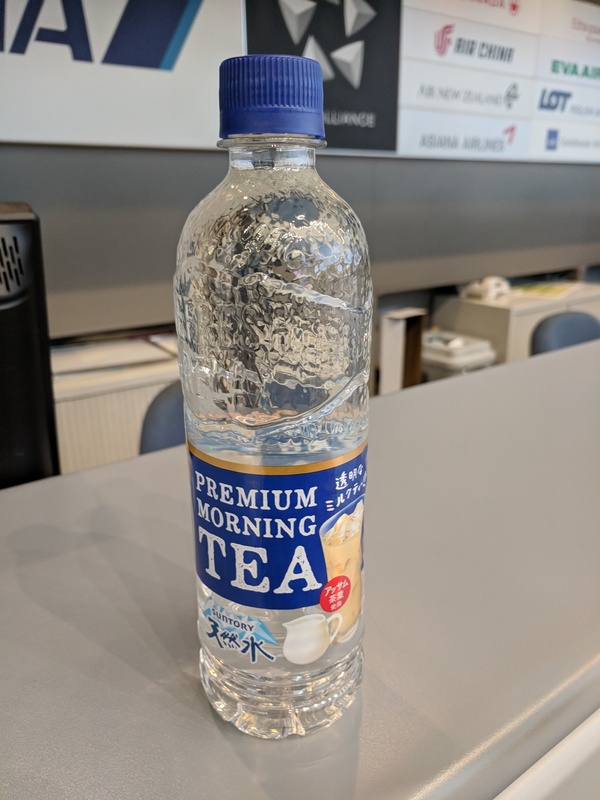 I will definitely have the Kirin White Chocolate Milk Tea again when I visit Japan next time. I hope they'll import it in Singapore too. I always scout for new ready to drink milk tea at 7-Eleven. 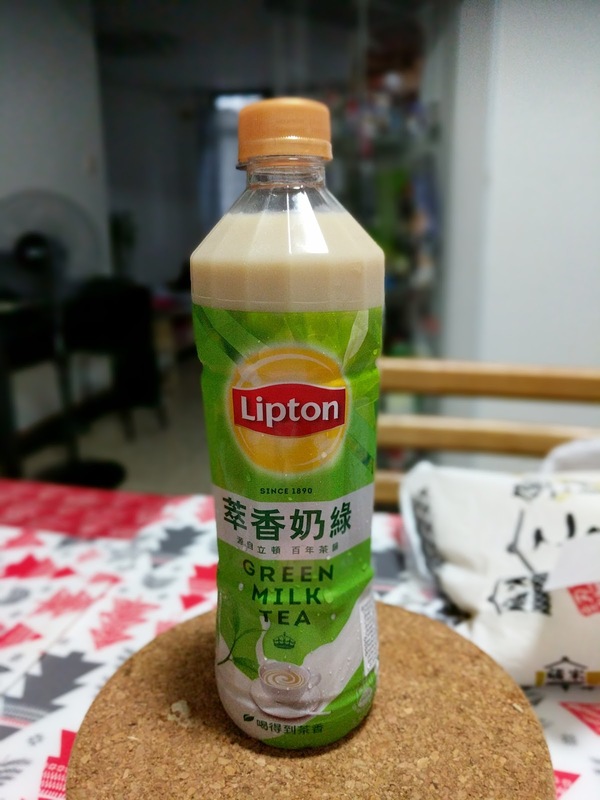 I got excited when I spotted the Lipton Green Milk Tea the other day. 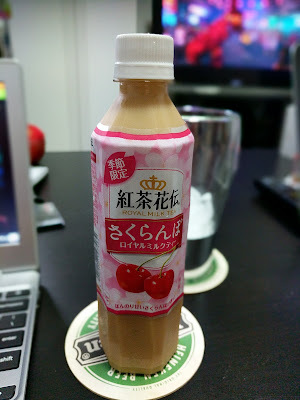 I thought it would replace my craving for Pokka's Green Tea Milk Tea which 7-Eleven used to sell years ago. I couldn't even find it in Japan now, so I've been just drinking matcha at Nana's Green Tea. I always like to pour ready to drink milk tea in a glass with ice. That's what I did when I got home. I had a lot of difficulty opening the bottle. Even my trusty rubber band couldn't get it open. I finally wedged it open and poured half of the content into the glass. Immediately tried it and memories of Bali came pouring in my mind. A decade ago my brother bought bottles of tea to drink. The drink tasted like we drank flowers. Lipton Green Milk Tea tasted more like flowers than green tea with milk. I guess they meant by green = garden/nature/flowers. We only finished the bottle because I tricked my son to finish it hehe. Lipton Green Milk Tea is best for people who have a palate for flowery stuff. 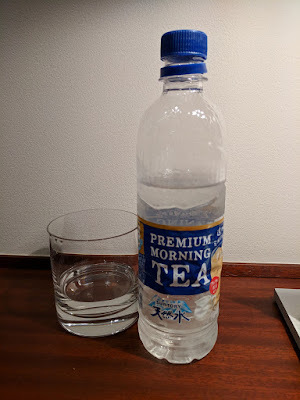 During my last visit to Japan I vowed to try different types of milk tea everyday. 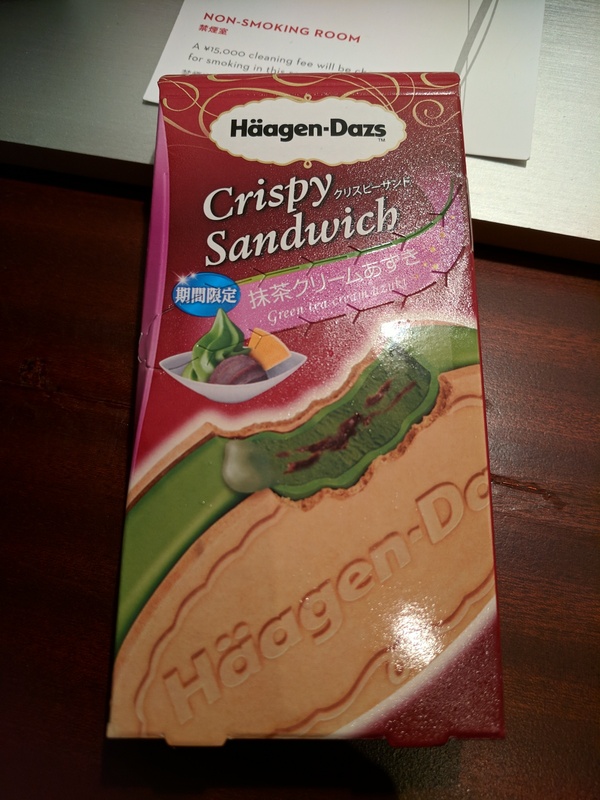 My plan got derailed when I chanced upon the Haagen Dazs Green Tea Crispy Sandwich at Lawson's. I just had to try it. 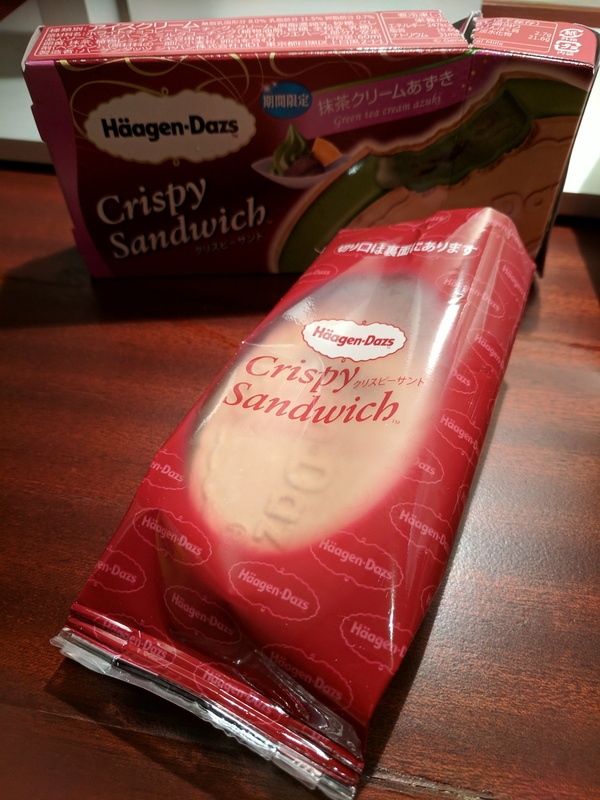 Back at the hotel I quickly tried out the ice cream sandwich. It was delicious, like drinking green tea frap while eating biscuits. I made a mess though since I didn't go back to the hotel immediately. I tried again the next day and ate it while the ice cream was still firm. It was a better experience. 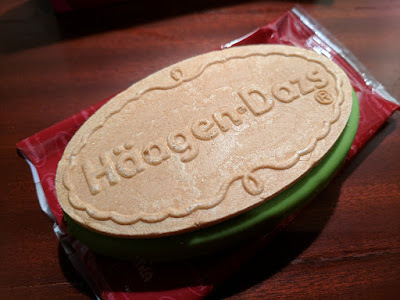 The treat reminded me about my favorite Singapore ice cream sandwich which you can get from Orchard Road. I like the biscuit better than ice cream on bread. It's quite filling too, so if you're trying it out make some space in your tummy! 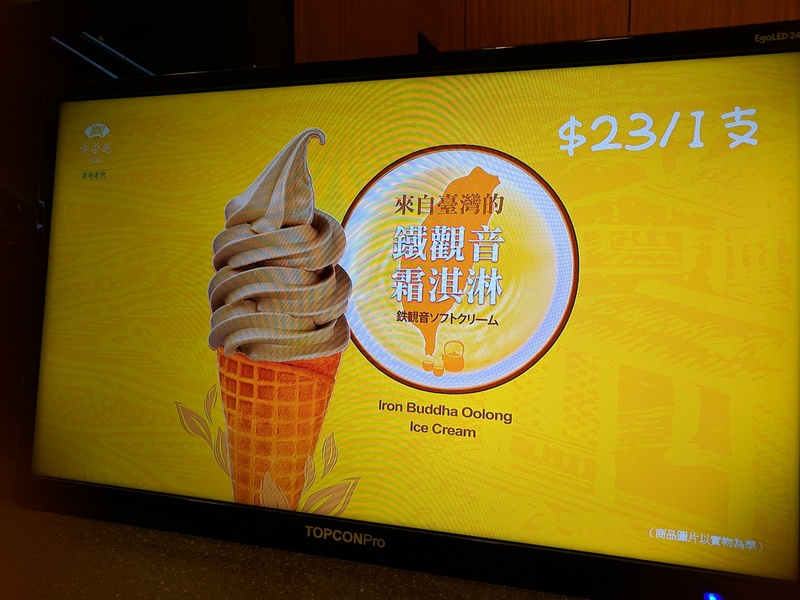 I was told by some friends that the best milk tea in the region can be found in Hong Kong. I had my misgivings since my favorite teh peng is in Singapore. 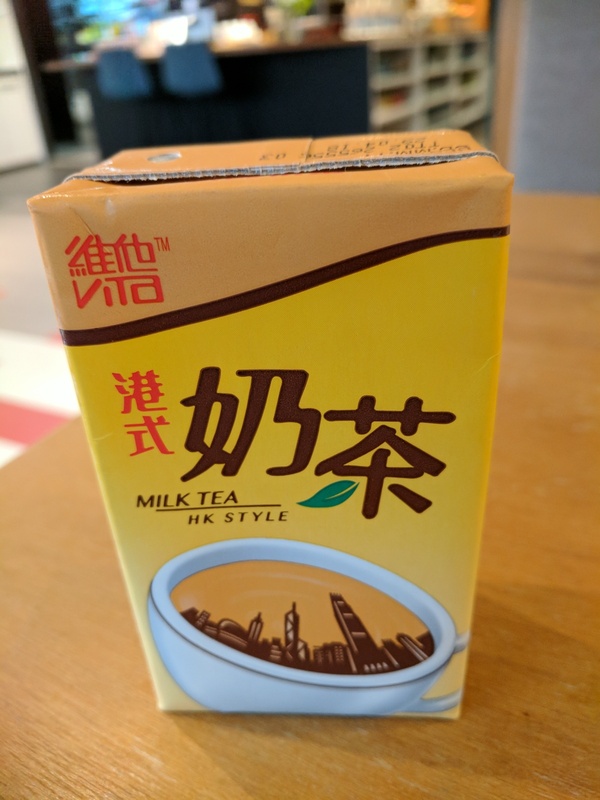 Eventually found myself in Hong Kong a few months ago and immediately looked for milk tea made in Hong Kong. The first encounter was in our office. I squealed when I saw that we actually had milk tea available in the fridge. I drank one during a meeting and I couldn't help but comment that it was really good. In Singapore/Malaysia most of the milk tea has strong tea flavor, in Taiwan it has more milk, in Hong Kong it was a well balanced blend of milk and tea. It made the drink more smooth, so I really liked it. The person I was meeting said that the one I tried was just a sample of what Hong Kong milk tea is. He suggested I try one that's freshly made. After work I got my hubby to look for Ten Ren Tea with me. Another friend told me that it was the most popular (and best) milk tea in Hong Kong. He cautioned though that lines were usually long. We finally found the branch that was inside a bookstore. I was immediately taken by the ice cream! In my mind the ice cream was glistening and singing to me hahaha. 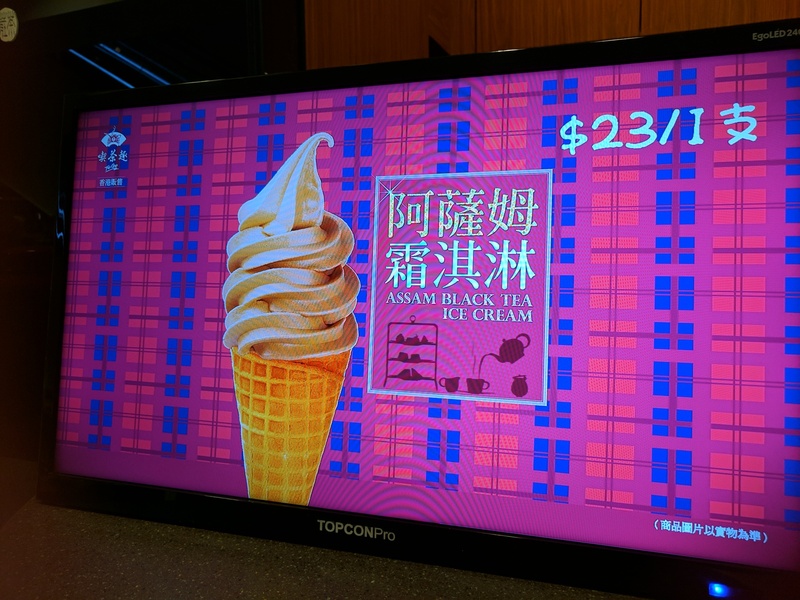 It's the best ice cream of its kind. It's been several months since I've been to Hong Kong and I still think about it. I also tried the milk tea. 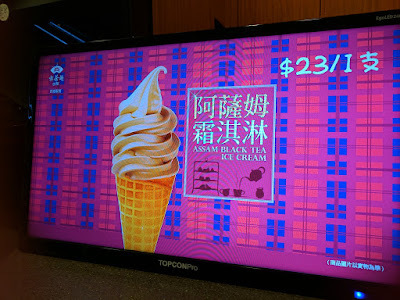 It was fresh and flavorful, but I must admit that I spent more time enjoying the ice cream. And I completely forgot to take a photo of the drink! I wanted to go back to the shop the next day, but I got so busy at work and had to run to the airport after my event. 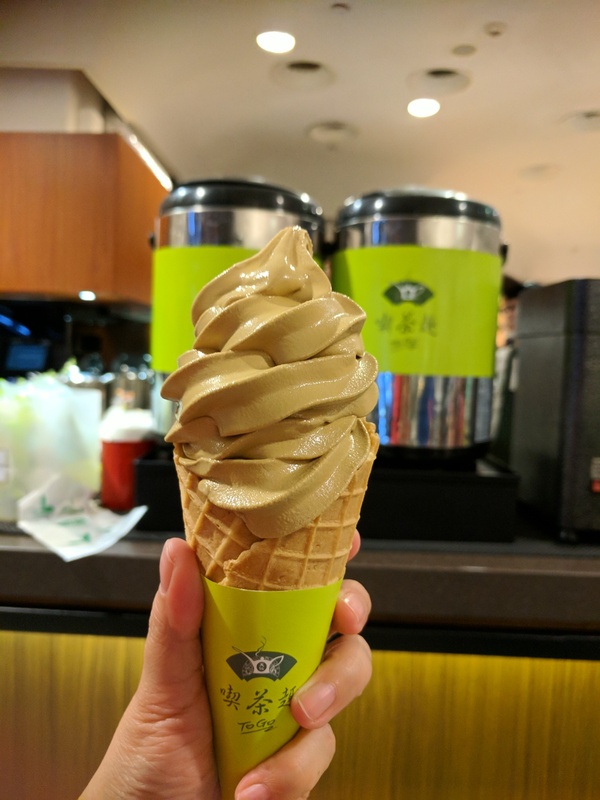 I guess I'll need to go back to Hong Kong for another chance to drink Ten Ren Tea's milk tea. And yes, Hong Kong milk tea is the best!